End of $1000 match. Thanks to some of you, we brought in $1080 during this week’s challenge. A big thank you to our generous donor for challenging us to this match, for a total of $2080. 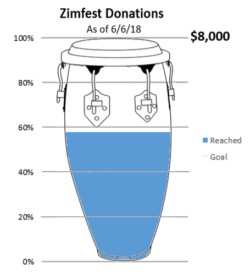 We are now at 58% of our total goal, more than halfway there! We hope you have some lovely weather and music to enjoy! Thank you!